Animatronic zombies, peeled grape eyeballs, fake blood stains on your carpet: some Halloween parties can require an almost overwhelming amount of planning and clean-up. Not the way we like to throw them, though. This year, use one of our low-stress party ideas to host a casual Halloween get-together that’s perfectly you—but a little bit spookier. 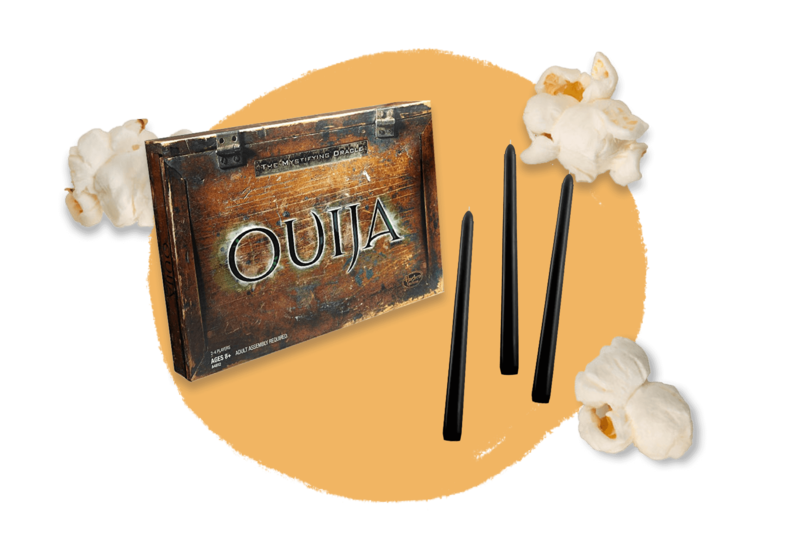 There’s nothing easier, or more delightful, than hosting a scary movie watch party. It’s the same amount of work as your regular Friday night in, but with more friends, fun, and frights. (And let’s be honest: it’s what you were going to do on Halloween anyway). 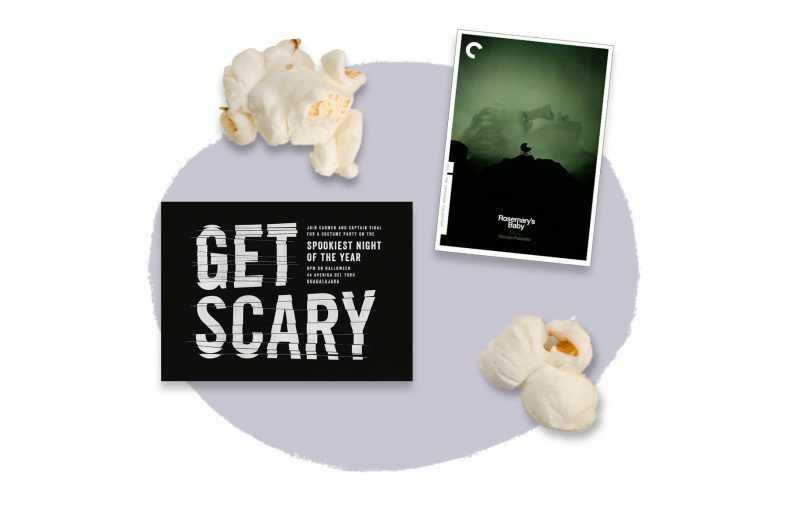 Just pick a few classics from The Criterion Collection’s Scary Movie List, satisfy your guest’s cravings with popcorn and whip up a few glasses of Redrum out of rum, tonic, and grenadine. Featured card: “Broken Windows” by Paperless Post. If you’re the kind of host who enjoys cooking, Halloween is the time to throw the dinner party of your screams. No need to reinvent the hearse or the wheel. 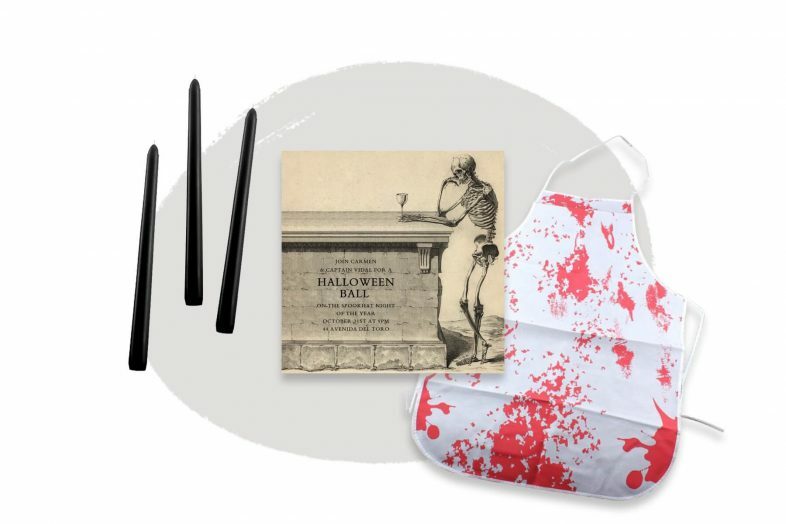 Pick your favorite dishes to cook, pair them with a glass of the bloodiest red you can find, and add a few scary details to keep the evening on-theme: a slasher apron, black taper candles, and, for ambiance, a copy of Salvador Dalí’s surreal cookbook, Dalí: Les Dîners de Gala. Featured card: “Skeleton with Drink” by John Derian. If you want to enjoy the festivities, but don’t want to be up until the witching hour freezing in an uncomfortable costume, throw a Halloween brunch the morning of. 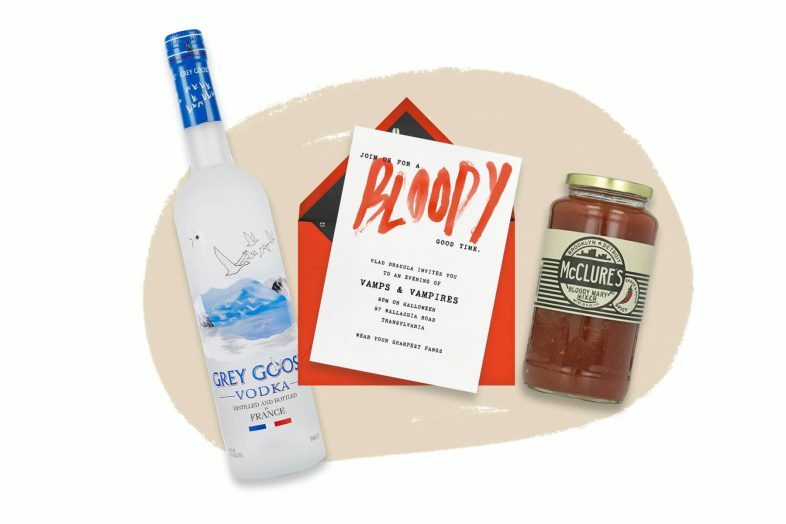 Serve up your favorite traditional brunch dishes and, of course, Mary’s namesake cocktails, which guests can customize with their own garnishes. Once your guests are enjoying her titular beverage, it’s time to try to conjure Mary in a mirror. Party in the bathroom! Featured card: “A Bloody Good Time” by Paperless Post. Coming up with a unique Halloween costume for yourself is an expensive weeks-long project. Putting your dachshund in a hot dog outfit, however, takes about two seconds, and is much more adorable. Have your fellow pup-owners gather their pooches for snacks (both human and canine) and play photographer for a furry, frightening photoshoot. 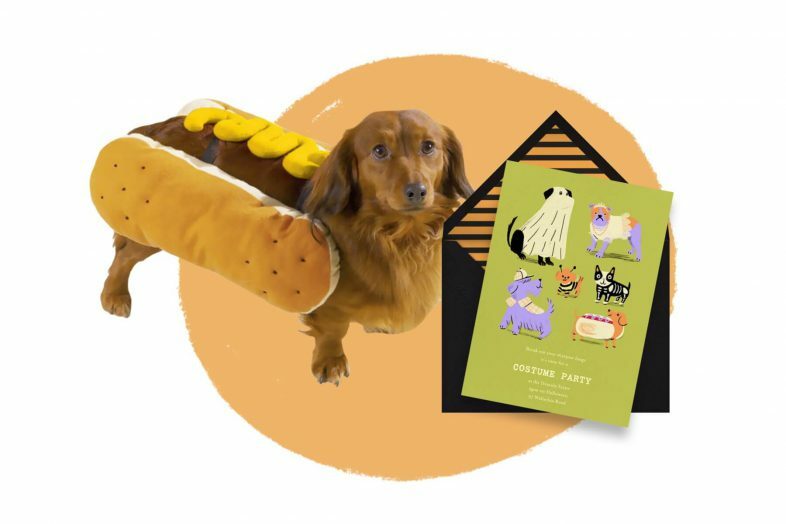 The owner of the best-dressed dog gets to take home a prize, and everyone gets to take home photos that will keep you smiling until next Halloween. Featured card: “Howlin’ Halloween” by Paperless Post. Why spend a scary amount of money and an entire day decorating for a party when you can visit an already perfect Halloween setting: the cemetery? Enjoy the last of this year’s beautiful fall weather in the most tranquil part of town with your friends. 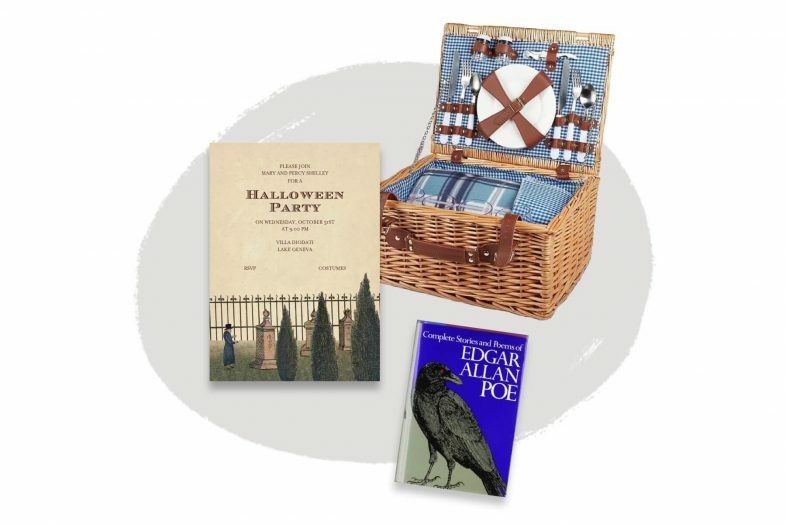 Bring a fully-equipped picnic basket and a thermos of cider, play games like Ouija, and pass around The Complete Stories and Poems of Edgar Allen Poe. It’ll remind you that it really is possible to rest in peace this Halloween. Featured card: “Graveyard Scene” by John Derian.